I’m a partner at Lightfoot, Franklin & White LLC. Great people. Great lawyers. Great friends. 1. We do only one thing. Lightfoot was founded in 1990 as a litigation firm, and litigation is all our attorneys do. Our areas of practice include anti-trust matters, appeals, class actions, commercial disputes, consumer complaints, employment matters, environmental claims and compliance, intellectual property, media and communications, medical malpractice, NCAA compliance and investigations, personal injury, product liability, professional liability, securities and derivative matters, toxic torts and white collar crime. 2. We have unparalleled experience in handling complex cases efficiently. 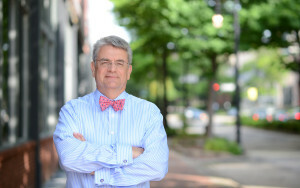 This firm cut its teeth in the early 1990s, when Alabama was known as “tort hell.” During that time, Lightfoot lawyers handled literally thousands of high stakes cases in difficult forums. Our work load and the importance of the matters on which we were working taught us to work efficiently without hordes of associates doing mindless tasks, forced our youngest lawyers to gain experience far beyond their years in taking significant responsibility for our clients’ matters, and taught us to embrace technology that enhanced our efficiency. The work we did in our formative years has given our lawyers a base of knowledge and experience in handling both serial and complex matters for a client list that we dare say no comparably sized firm in America can top. 3. We are not simply discovery and motion lawyers. We hear stories from our clients about lawyers who engage in discovery for discovery’s sake and then panic if a matter is not resolved before trial. That is not who we are. If a case needs to be resolved, we do what we need to do to resolve it. But if a case needs to be tried, our lawyers have both the experience and the temperament to try it. And our opponents know it. We will furnish, on request, a summary of every jury verdict, good and bad, we have received since this firm’s inception. It is a long list. In addition, we are regularly retained to handle post-trial motions and appeals of matters other firms have handled. We will furnish a list of those matters, as well. The firm takes pride in its track record in the over 250 reported appellate decisions in which it has been involved. 4. We grow our own talent. The firm’s founders were and are successful trial lawyers who developed a formula for handling their clients’ important cases. That formula involves identifying the client’s goals, keeping the client informed and engaged at every step, doing only that work necessary to advance a matter toward the desired resolution, and developing and leveraging relationships with opposing lawyers to achieve the client’s objectives. Our history of doing things a certain way has led us to buck the trend to bring in lawyers from other places. Almost all of our non-founding lawyers have spent their entire careers at this firm. We like it that way. Although we do work throughout the country, the entire firm practices law together—from one office in Birmingham. To be sure, our lawyers have particular areas of expertise, but this firm is not arranged by formal practice group. Teams for client matters are assembled not based on what group a lawyer is in, but instead on what the client’s needs are. And we do not compensate our lawyers based on how many clients they have. Rather, they are judged by the quality of the work they do. Nor are we tied to the old way of being compensated for our services. We have the flexibility to offer options that suit our clients’ needs, whether they involve a contingency fee, a flat fee, or some other arrangement. TRIAL SUPPORT AND COURTROOM IT? For trial support and courtroom IT, our Case Clarity Group is without peer. You can retain them directly for your next case, trial or presentation. NATIONAL REACH? Yes, we’re based in Birmingham, Alabama — which is a lot less expensive place to run a business than major metropolitan areas and which helps us pass efficiency-savings along to our clients. Our reach, though, is nationwide — not only because we have lawyers admitted from the District of Columbia to California, but also because we’re members of the Network of Trial Law Firms , a group of 6,000 attorneys in 23 separate and independent trial law firms practicing in over 135 offices throughout the United States and Canada. I write on this blog because I enjoy it, but one with a Soviet mind might think it is lawyer advertising. If you fall in that category, read this: DISCLAIMER: “No representation is made that the quality of the legal services to be performed is greater than the quality of legal services performed by other lawyers.” Any questions about this blog may be addressed to Jackson R. Sharman III, Lightfoot, Franklin & White LLC, The Clark Building, 400 20th Street North, Birmingham, Alabama, 35203.